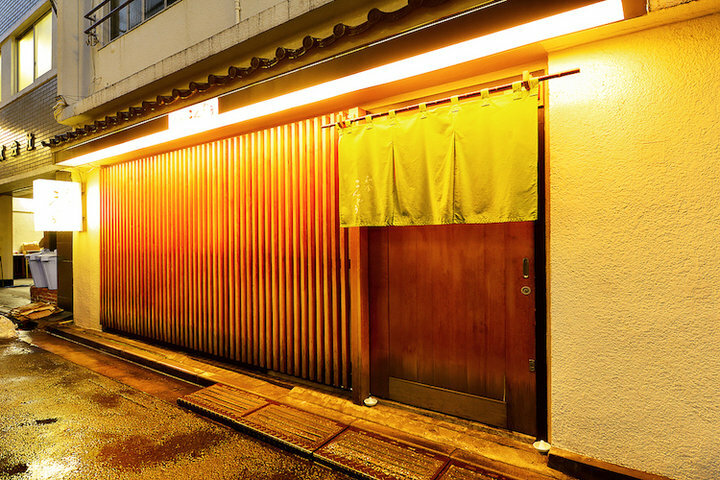 Located just a 3 minute walk from Yotsuya-sanchome Station, Araki-cho is a neighborhood known among connoisseurs for its rich variety of small eateries. 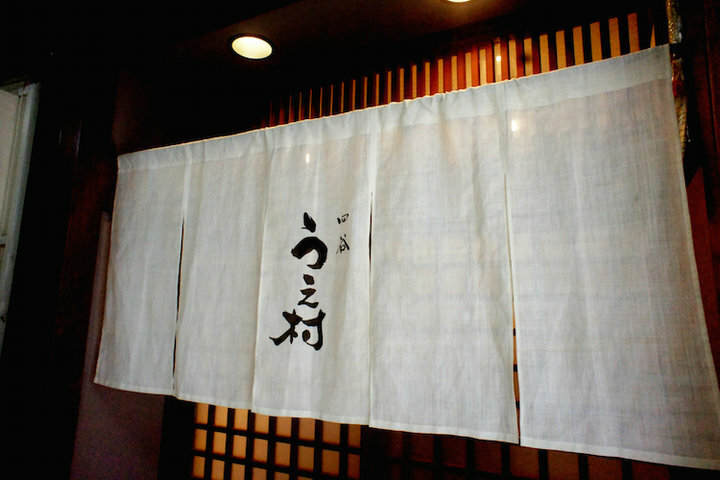 Tanimoto, located in this very area, is a tasteful Japanese restaurant that serves exquisite dishes created by its owner, Seiji Tanimoto, who had previously worked as the head chef at a kaiseki (Japanese course meal) restaurant, and is also well-versed in the art of ceremonial tea-making. Tanimoto began his career as a chef in sushi restaurants and small restaurants, and began to enjoy tea ceremony in his 20’s. During this time, he decided to specialize in Japanese cuisine after being struck by the superb flavors of the dishes while dining at a certain Japanese restaurant in Kyoto. Afterwards, he worked at cha-kaiseki ryoteis (traditional Japanese restaurants serving meals before tea) in Shiga Prefecture and in Tokyo for a total of 8 years, and worked at a kaiseki restaurant in Minami-aoyama as the head chef for 3 years. 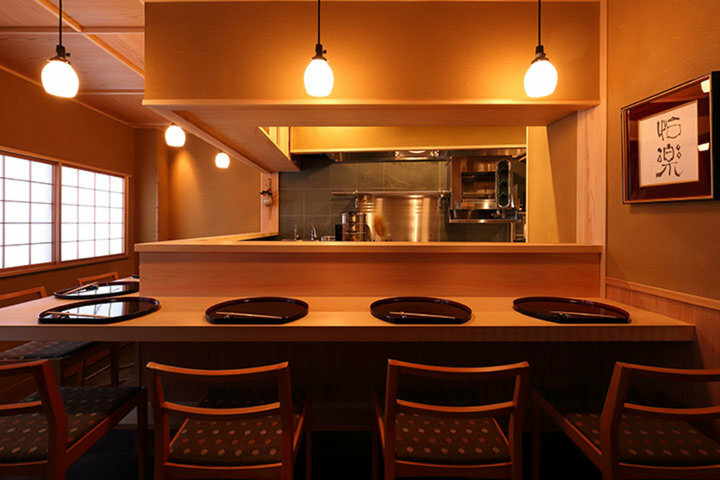 He eventually left to open his own restaurant, Tanimoto, in April, 2017. 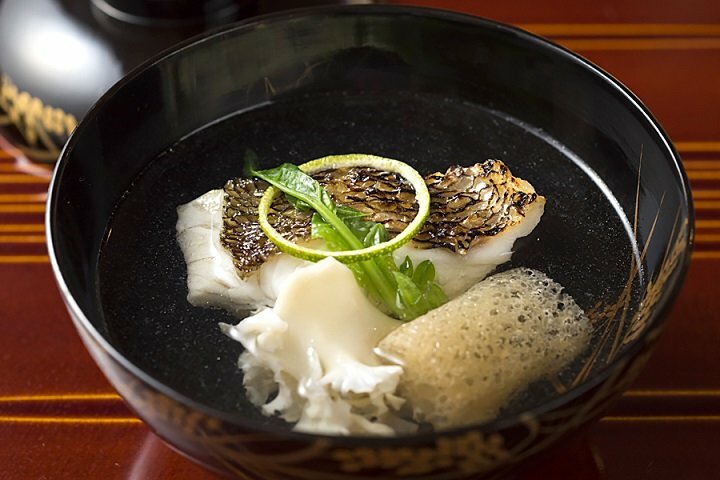 The course meals consist of appetizing kaiseki dishes made with plenty of seasonal ingredients in Japan. 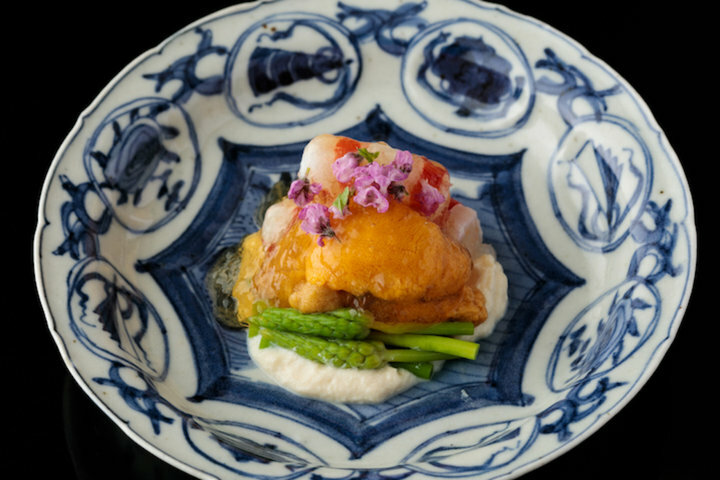 Paying close attention to every single element, the restaurant sources its ingredients from all over Japan, including fish from Seto Inland Sea, and seasonal vegetables mainly from Kyoto. The chef also carefully arranges the food items to highlight the fresh tastes of the ingredients, while making sure that the flavors are presented in an enjoyable variety. 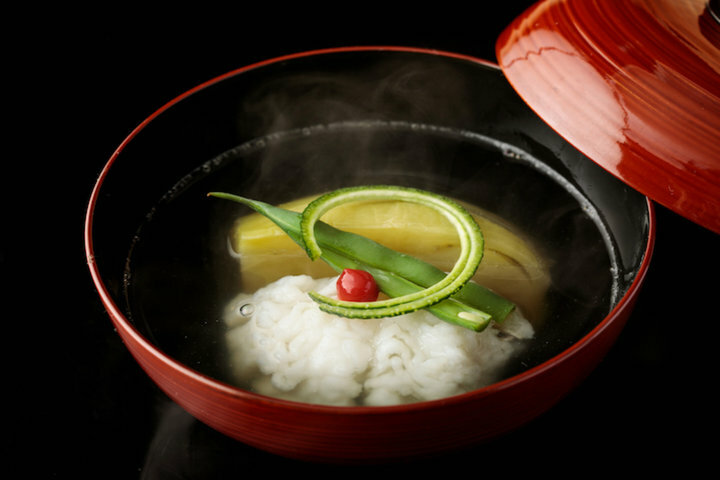 One of the most carefully-crafted dishes is the wan-mono (soup), the flower of Japanese cuisine. The broth is slowly made by infusing rishiri kelp and Japanese kelp in cold water a day in advance, which is then flavored with sliced dried bonito. Other soup ingredients use specially-selected vegetables, etc., which are carefully prepared before using. Matcha, prepared by Tanimoto himself and presented at the last stage of the course, is another charming item you can look forward to. 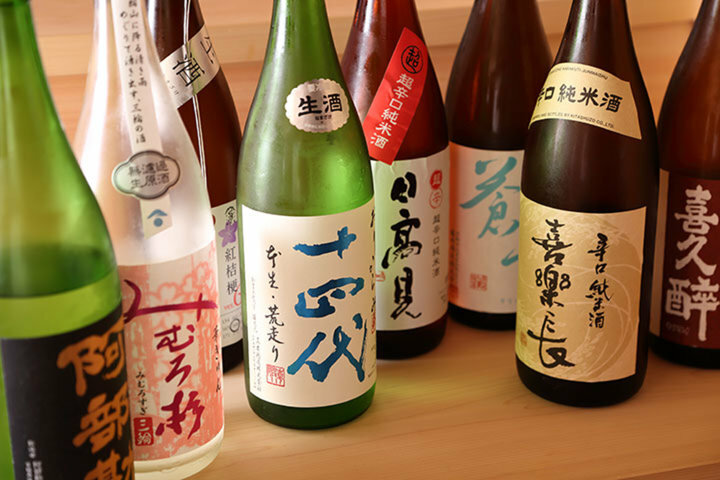 The restaurant has a lineup of Japanese sake to go with the course meals, which has modest yet refreshing rice flavors that do not interfere with the tastes of the dishes. 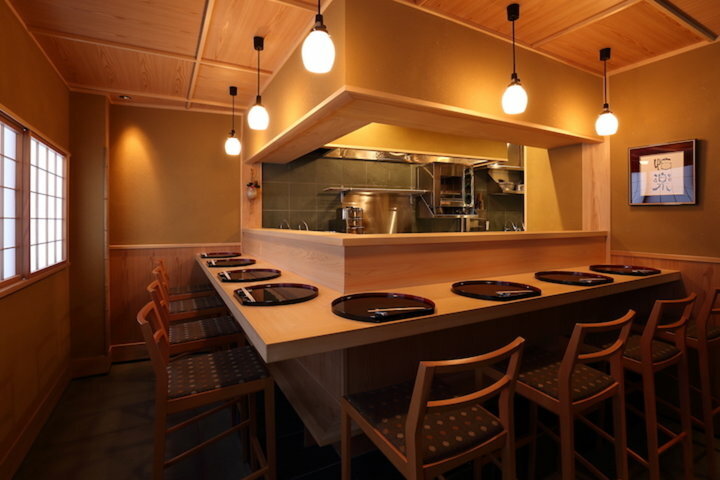 The simple and neat store has only 8 counter seats. 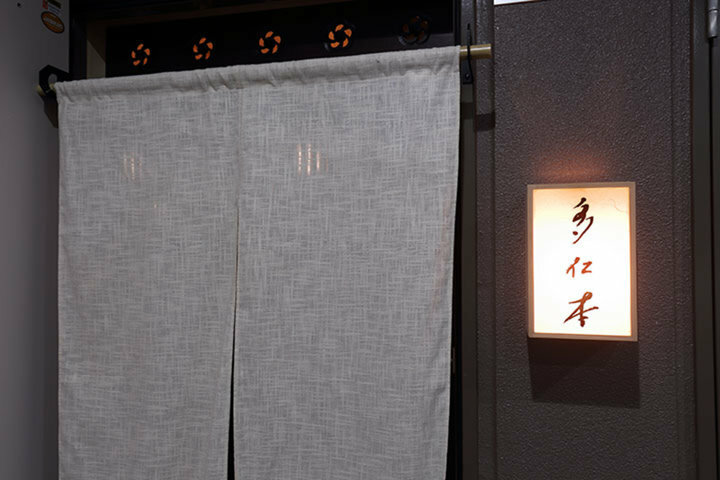 Every day, Tanimoto himself arranges flowers to create a pleasant aroma in the shop, which contributes to its refined atmosphere that resembles a traditional tea room. It is a great choice for treating guests, dining for couples and friends, or even for spending a good time by yourself in the evening. 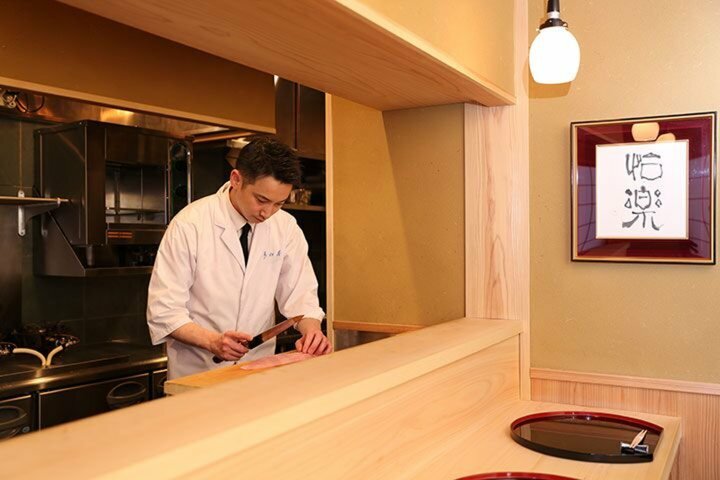 Sit at the counter to treat yourself to authentic kaiseki cuisine crafted by the restaurant’s honest owner.